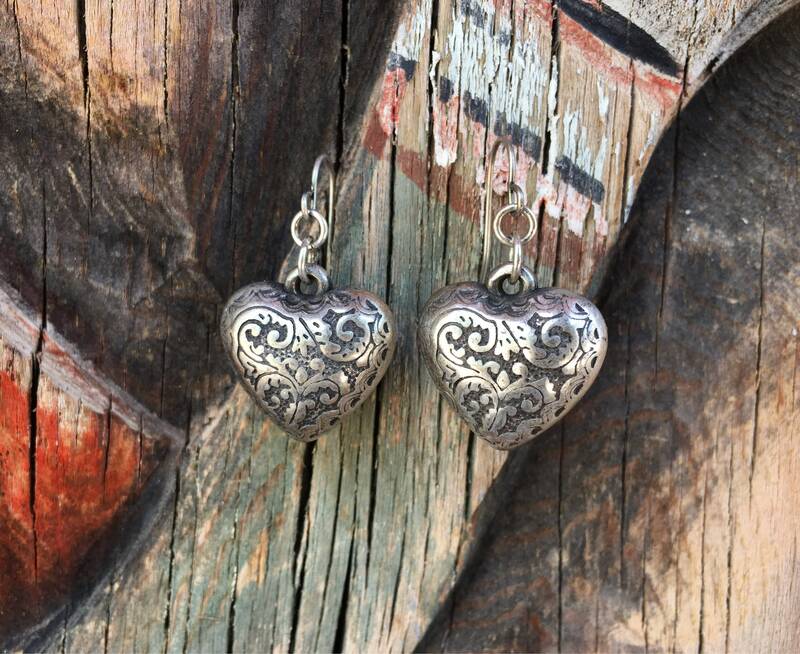 Here we have a pair of puffy heart earrings with beautiful ornate designs. 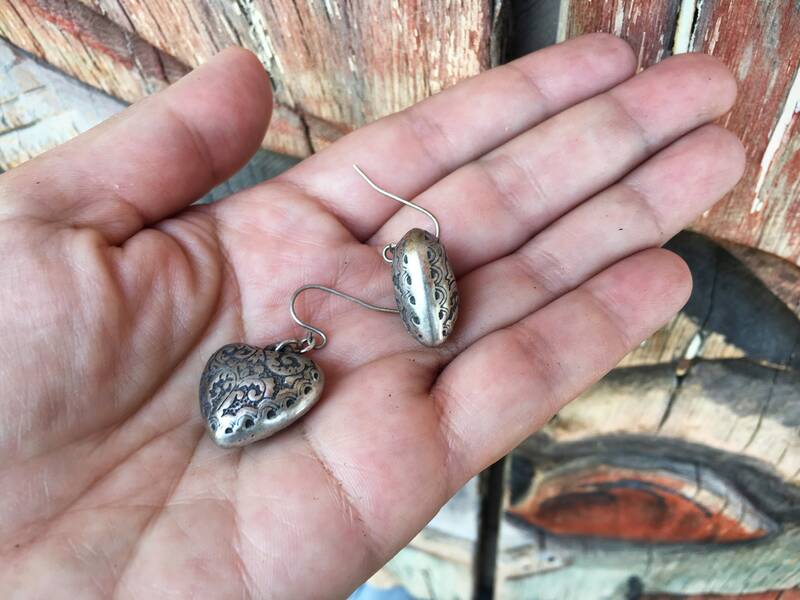 They are pewter or silver plate but not sterling silver, although they have a beautiful patina. The heart is an important icon in Mexico and comes in many forms, including the Sacred Heart. This puffy heart is also common. 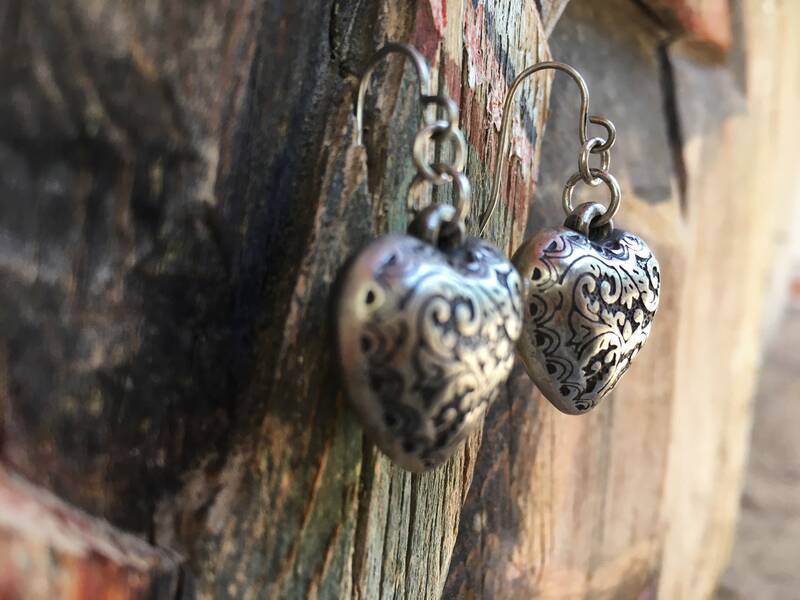 This pair measures just over 3/4" wide by 1" long not including the French hook, and about 1-1/2" long including hook. 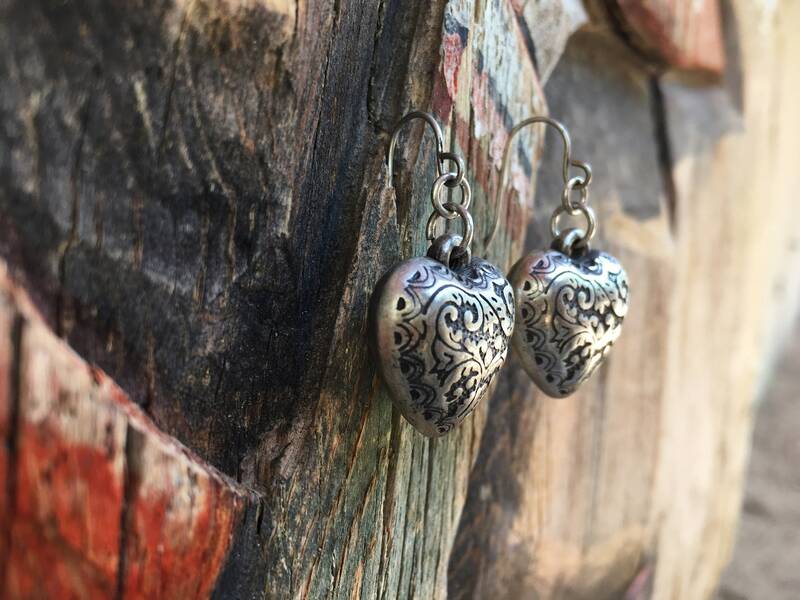 The hearts have tiny scratches as a result of age.